I take Halloween rather seriously (for an adult, at any rate) and I always have a great deal of fun thinking up (and making, usually, though I’ve also burned the crud out of myself with the gluegun) costumes.I think my speciality is large foam-rubber constructs. I discovered a few years ago that an electric carving knife works pretty well on foam, and that large sheets of foam are generally available at local fabric stores. I really love costumes that completely transform you — that make you into a whole new shape — and foam rubber definitely fits the bill on that one. This was 1994. And yes, I did change into a Law at the end of the evening! 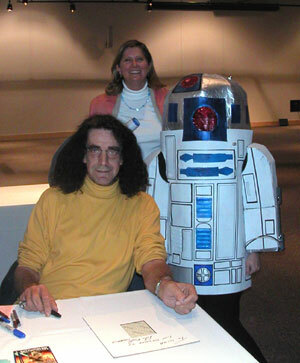 Peter Mayhew (Chewbacca), Caroline and me (R2D2). 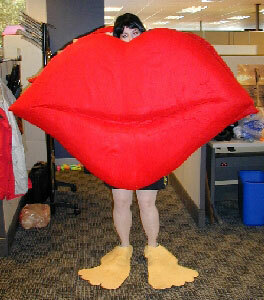 This is actually a recreation of a costume that my father made me when I was 8, some twenty (at that time) years previous. 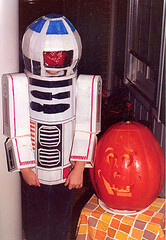 This is the original R2D2 costume, circa 1978. My dress was two men’s t-shirts and a piece of .5 inch foam on Tuesday (Halloween was Friday night) — I was up *very very* late. Jeff’s was quite easy by comparision.And, no, I never yanked the football away, causing Jeff to fall on his patootie. That would’ve been mean! 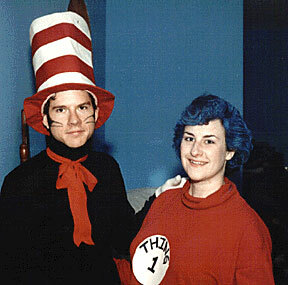 Cat in the Hat and Thing 1, with Stephen Roberts, vintage 1993. 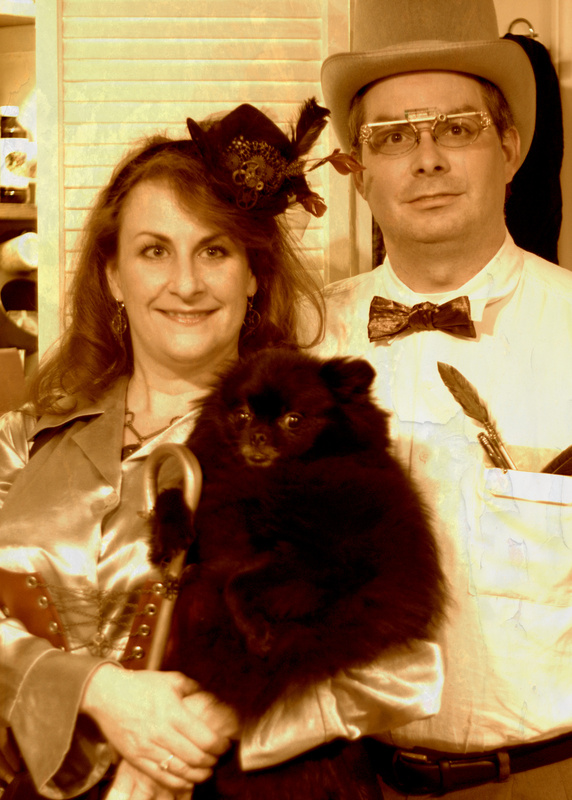 David Rhodes, Caroline Wiggs and I as the Scooby-Doo gang, circa 1998. 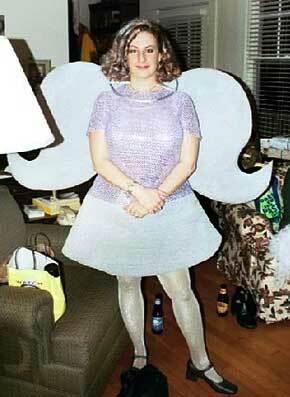 Interplanet Janet (yes, another Schoolhouse Rock costume), in 1999. With Mike Broome in my wench get-up. 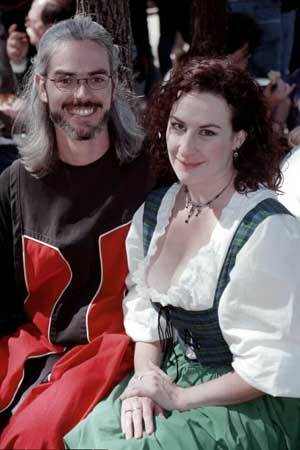 (This was actually at a Ren Faire not Halloween, but I did wear the same costume for Halloween in 2002 (I think?). 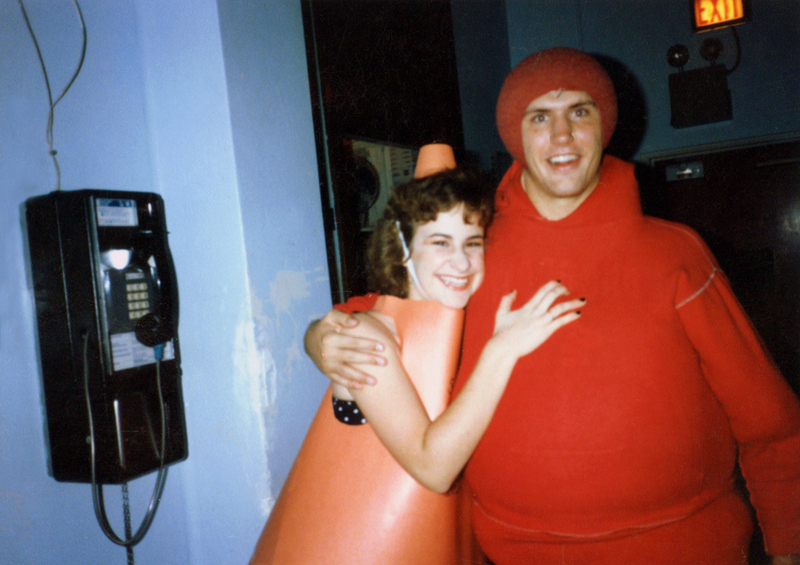 NCSSM – I was a pylon. A Southern Beall pylon. I lived in Beall dorm.